Here at Barstow’s Longview Farm everybody has a personality so everybody has a name. 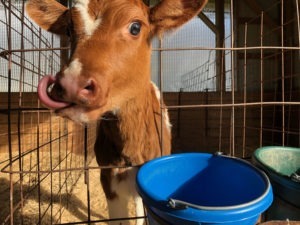 Calves born around the same time have names that begin with the same letter. These calves were born in the last half of October.